The Office of Multicultural Affairs is hosting a free public screening of the full-length documentary “The Medicine Game” on Sunday, Feb. 9, at 6 p.m. at the Watson Theatre in Watson Hall. The film will be followed by a Q&A with Syracuse filmmakers/Newhouse alumni Lukas Korver and Jason Halpin and the Thompson brothers on their story that inspired the film. Jeremy and Jerome Thompson were the inspiration behind the film, which follows their story of pursuing dreams of higher education and of playing lacrosse at Syracuse University. 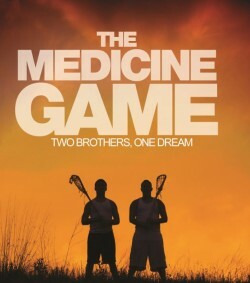 Filmed over a seven-year span, “The Medicine Game” follows Jeremy and Jerome Thompson, raised in a family of Native American lacrosse stars, from the Onondaga Nation in upstate New York. Their lifelong dream is to move from high school on to college and play lacrosse for SU. While juggling survival in two very different cultures pushes their goal to seemingly unreachable heights, the brothers are determined to not let their family or their community down. Produced by Lukas Korver for a presentation of Vision Maker Media, “The Medicine Game” premiered nationally on PBS in September. See the film trailer at www.themedicinegame.com.